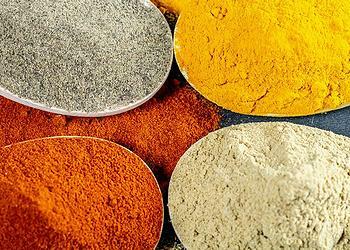 OSAKA, Japan, April 14, 2019 (ENS) – Spices often used in curry can counteract respiratory problems caused by fine particle pollution in the air, finds a joint study by Japanese curry roux maker House Foods Corp. and a professor at state-run Kyoto University. The study found cloves, turmeric, cinnamon and coriander have the ability to suppress inflammation caused by PM2.5, an air pollutant. PM2.5 refers to atmospheric particulate matter (PM) that has a diameter of less than 2.5 micrometers, about three percent the diameter of a human hair. Particles in this category are so small that they can be detected only with an electron microscope. The research findings came from laboratory experiments using human airway cells and did not involve any humans eating curry containing the spices, Kyodo News reports. “We were able to achieve positive results on a cellular level. There’s a good possibility that consuming the spices will also produce a desired outcome,” said Hirohisa Takano, a professor of environmental medicine at Kyoto University’s Graduate School of Global Environmental Studies. “We have to conduct further research into it,” said Professor Takano, whose research focuses on the evaluation of the relationships between environmental pollutants and so-called “modern diseases” including allergic diseases and lifestyle-related diseases. House Foods, a part of House Foods Group Inc., one of Japan’s largest food manufacturers and brands, said it will conduct additional studies into the health benefits of curry to boost consumption. PM2.5, or particles measuring 2.5 microns in diameter or smaller, pose great risks to human health as they are capable of penetrating people’s lungs and entering their bloodstream, causing stroke, heart disease, lung cancer, pneumonia and other diseases.